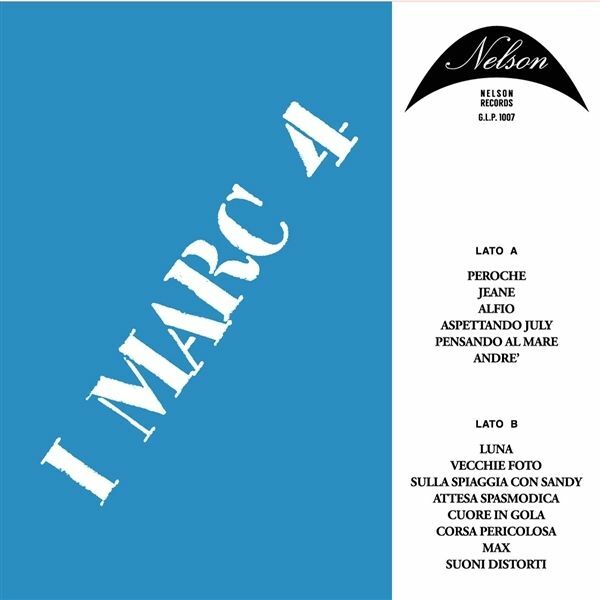 I Marc 4, the brilliant quartet that collaborated with Ennio Morricone, Nino Rota, Armando Trovajoli, Gianni Ferrio, Piero Piccioni, Piero Umiliani, Alessandro Alessandroni, and their fantastic sound, now again available on a unique and really representative release, their holy grail session: G.L.P. 1007 from 1971. The best and most valued volume of the GLP series featuring the fantastic modal madness of "Andr", "Peroche", "Suoni Distorti" and the milestone "Alfio" feat the flute by Alfio Galigani. The music goes from insane Psychedelic tunes to Jazz, Funk and more Bossa and Lounge tracks with plenty of Fuzz guitars, amazing Hammond job, and totally catching drum Breaks. An insane trip into early gold Italian Psychedelic and Underground vibes with loads of laden beats and grooves with the mark of the legendary Italian quartet. Simply essential!